Zytiga (abiraterone) works in the body by preventing the actions of androgens (male hormones). Zytiga is used together with prednisone to treat prostate cancer that has spread to other parts of the body. Zytiga may also be used for purposes not listed in this medication guide. You should not use Zytiga if you are allergic to abiraterone, if you have severe liver disease or if you are pregnant. Before you take Zytiga, tell your doctor if you have liver disease, low levels of potassium in your blood, any type of infection, high blood pressure, congestive heart failure, or a history of heart disease, fluid retention, recent heart attack, or problems with your adrenal gland or pituitary gland. Although Zytiga is not for use by women, this medicine can harm an unborn baby or cause birth defects. Abiraterone tablets should not be handled by a woman who is pregnant or who may become pregnant. While you are taking Zytiga and for at least 1 week after your treatment ends: Use a condom to prevent transfer of this medication to your sexual partner if she is pregnant. Use a condom plus another form of effective birth control if your sexual partner could become pregnant. Zytiga must be taken on an empty stomach. You should not use Zytiga if you are allergic to abiraterone, if you have severe liver disease, or if you are pregnant. a history of problems with your adrenal gland or pituitary gland. If your sexual partner is pregnant–Use a condom to prevent transfer of this medication to her. If your sexual partner could become pregnant–Use a condom plus another form of effective birth control to prevent pregnancy. FDA pregnancy category X. 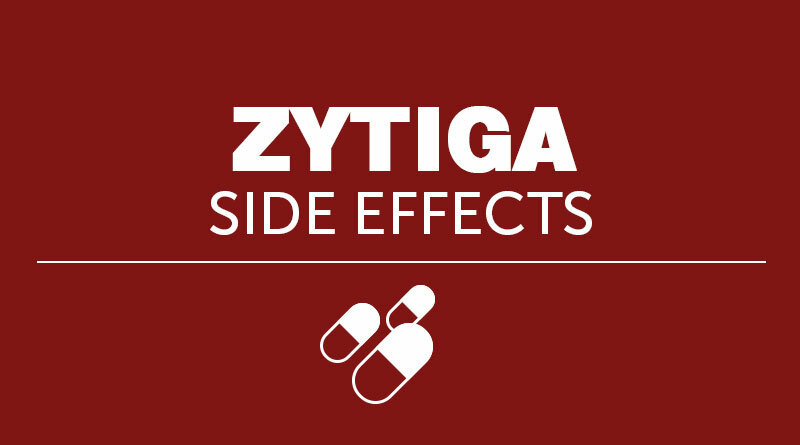 Although Zytiga is not for use by women, this medication can harm an unborn baby or cause birth defects. The tablets should not be handled by a woman who is pregnant or who may become pregnant. If this cannot be avoided, the woman should wear latex gloves. It is not known whether abiraterone passes into breast milk or if it could harm a nursing baby. Zytiga should not be used by a woman who is breast-feeding a baby. Take Zytiga exactly as prescribed by your doctor, Follow all directions on your prescription label. Zytiga is usually taken once per day while also taking prednisone two times per day. Do not take this medicine in larger or smaller amounts or for longer than recommended. Your prednisone dosage needs may change if you have surgery, are ill, or are under stress. Do not change your medication dose or schedule without your doctor’s advice. Take this medicine with a full glass of water. Swallow the tablet whole. Take Zytiga on an empty stomach. Do not eat anything for at least 2 hours before you take Zytiga and for at least 1 hour after you have taken the medicine. Your blood pressure will need to be checked often, and you may need frequent blood tests at your doctor’s office. You should not stop using Zytiga or prednisone suddenly. Follow your doctor’s instructions about tapering your prednisone dose. Store Zytiga at room temperature away from moisture and heat. Skip the missed dose and take the medicine the following day on an empty stomach (no food for at least 2 hours before or 1 hour after you take Zytiga). Do not take extra medicine to make up the missed dose. Call your doctor for instructions if you miss more than one dose. What should I avoid while taking Zytiga? Get emergency medical help if you have any of these signs of an allergic reaction to Zytiga: hives; difficult breathing; swelling of your face, lips, tongue, or throat. What other drugs will affect Zytiga? an antidepressant – amitriptyline, doxepin, clomipramine, desipramine, imipramine, nortriptyline. This list is not complete. Other drugs may interact with Zytiga, including prescription and over-the-counter medicines, vitamins, and herbal products. Not all possible interactions are listed in this medication guide.